The Rams Men's basketball team surrounds head coach Ed Madec as he prepares them for the second half of their round 2 regional playoff game against Sacramento City College on March 2, 2019. 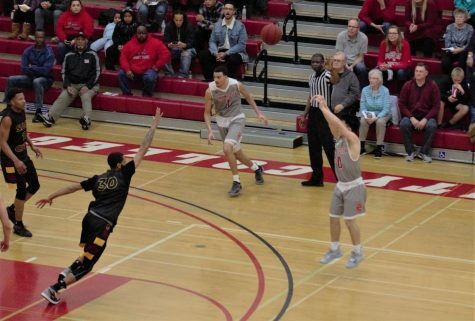 Fresno City College men’s basketball season came to an end on Saturday, March 16, losing to Fullerton in the state semifinals 59-48 in Ventura. The Rams could never get their offense in rhythm in the playoff loss, falling behind early and never recovering. The season as a whole however was much better than the end implied. The Rams finished the season with an 18th consecutive conference title. 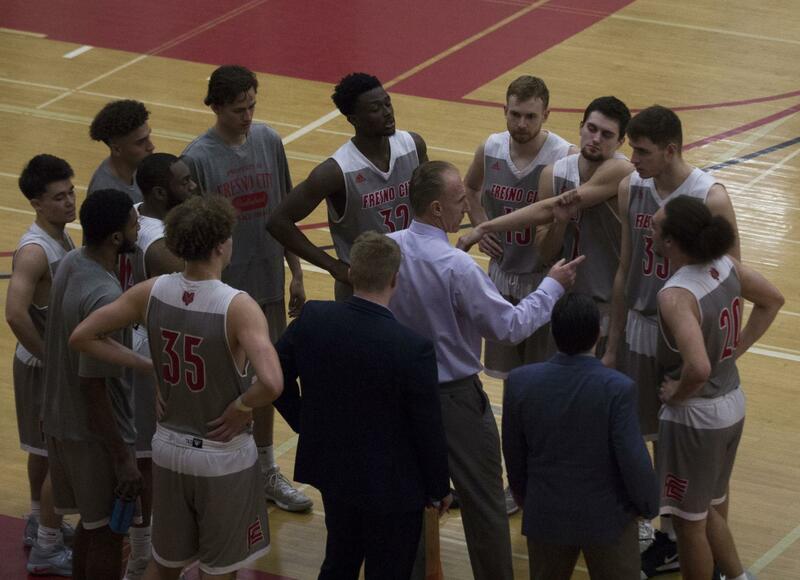 They went overall 28-4 with an .870 win percentage, while going 16-0 in their conference. 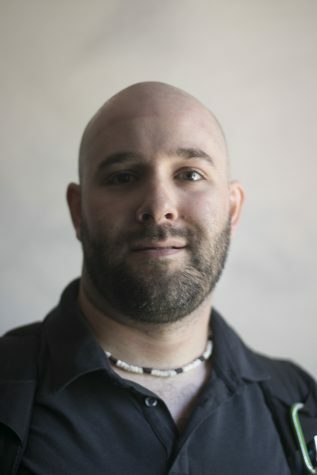 The team was able to go deep into the playoffs. FCC fought every game with coach Ed Madec leading them. This season was a test of their skills mentally and physically in every game. In post game interviews coach Madec would never be satisfied with the team because he believed they can always do better. Madec maintained a humble attitude of a competitor, always acknowledging the other teams and always trying to get his players right. 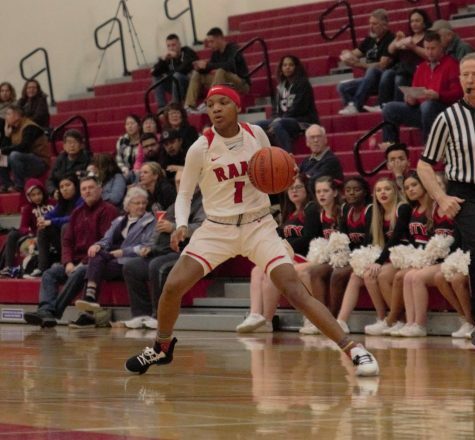 Following every home game, Madec’s Rams would work out immediately following each game, showing how much he and the team was committed to excellence and striving to be the best not only in the conference, but in the state as well. 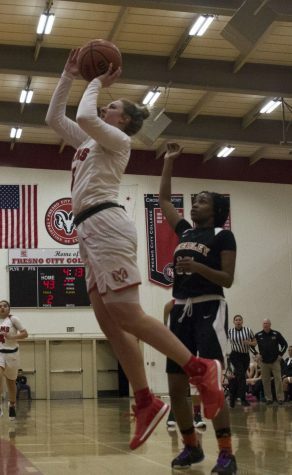 Among other stand out performers Georgie Dancer was named a CCCAA First Team All-State selection and named the Central Valley Conference’s most valuable player of March. 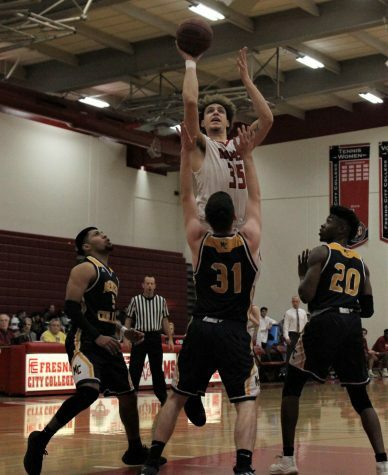 Sophomore forward Ethan Richardson also accomplished a lot this season, being named CCCAA Men’s basketball state Championship All-Tournament team, while also leading the Fresno City Rams in scoring, rebounding, and field goal percentage. 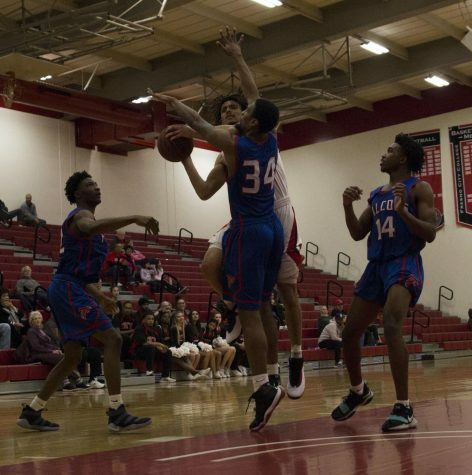 Richardson was a key component in each of the Rams’ games in the 2018-2019 season. 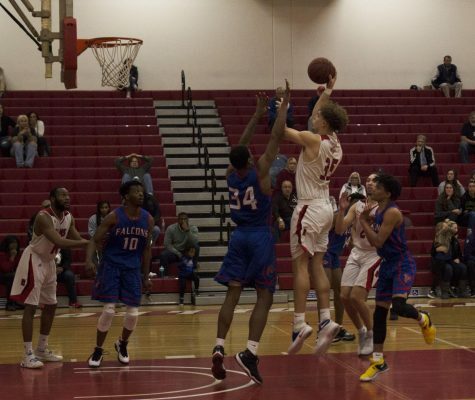 The Rams also benefited from the contributions of sophomore guard David Rico, the leading three point threat for the Rams shooting an impressive 49.7 percent from the three point line. Eljay Gallegos was also among the players who shot well, shooting 45.3 percent from the three point line. Having go through this season David Rico experienced all the ups and downs that FCC had. 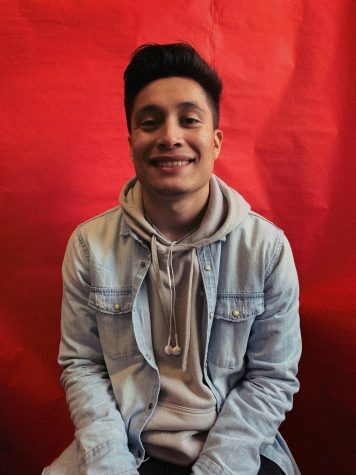 “This season I feel like we accomplished the joy of being around true brothers…it was a really fun season,” Rico said of the Rams’ performance. The team looked to not only accomplish a lot on the court but off the court as well. 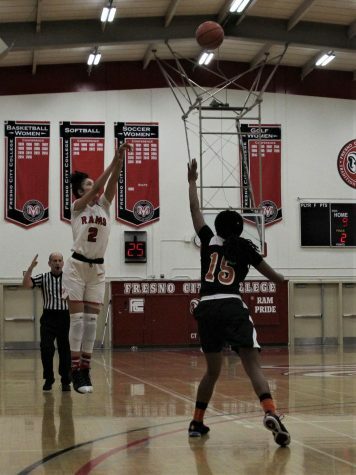 Being able to contribute to many wins this season for FCC, being able to go a perfect 5 for 5 from the three point line against Sacramento City College. 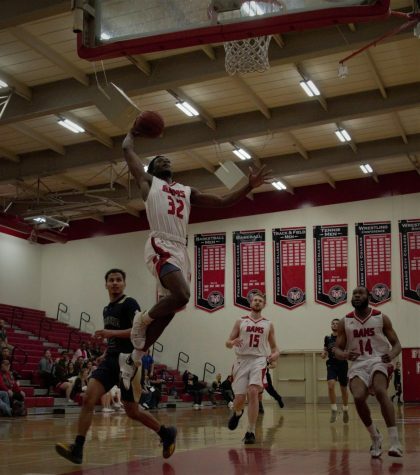 “It felt good to contribute into helping my team win and seeing the hard work paying off,” Rico said of his performance against Sacramento City. Even though their season is over the grind will never stop with these athletes. 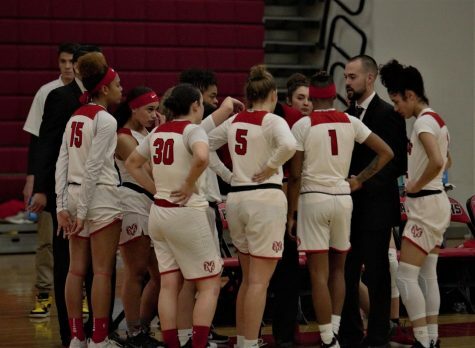 The Rams will be back in action this fall, seeking their 19th consecutive conference title, and Madec’s record tying 14th consecutive conference title as head coach.